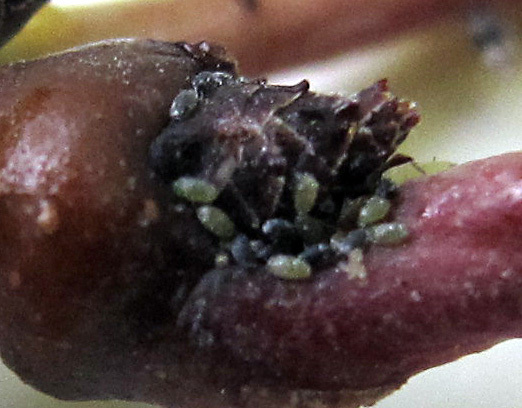 Aphids overwinter as eggs near buds on most fruit trees. Use oil alone or with Diazinon (restricted use) or a pyrethroid. Pear psylla eggs. Adults lay eggs near buds in early spring. If this was a problem last year, apply oil twice, spaced about 7 days apart. 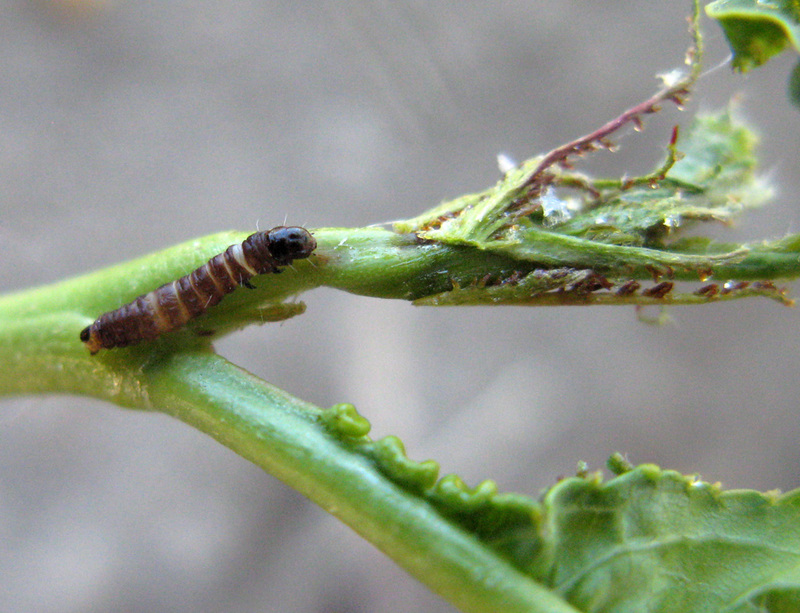 San Jose scale overwinters as a mix of nymphs and adults on apple trees. Nymphs have “black caps”. Use oil alone or with pyriproxyfen (Esteem, for commercial use). 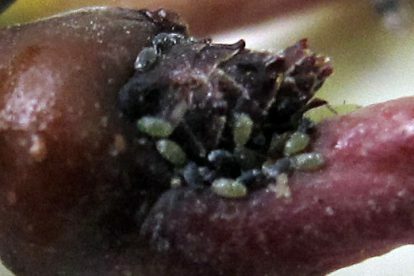 Peach twig borer overwinters as larvae in crevices in the tree canopy on peach/nectarine. Use oil alone or mix with an insecticide. Good coverage is important. 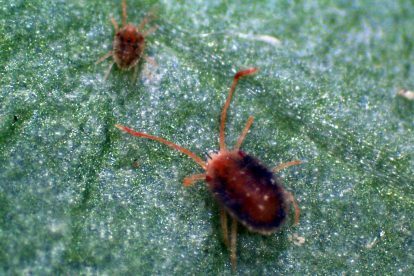 Brown mites overwinter as eggs in protected sites on trees (unlike spider mites, which overwinter on the ground). Oil alone is sufficient for this pest, if it has been a problem. 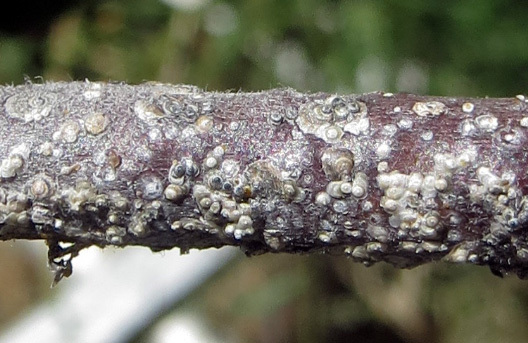 All the tiny specks on this bud are eriophyid mites. 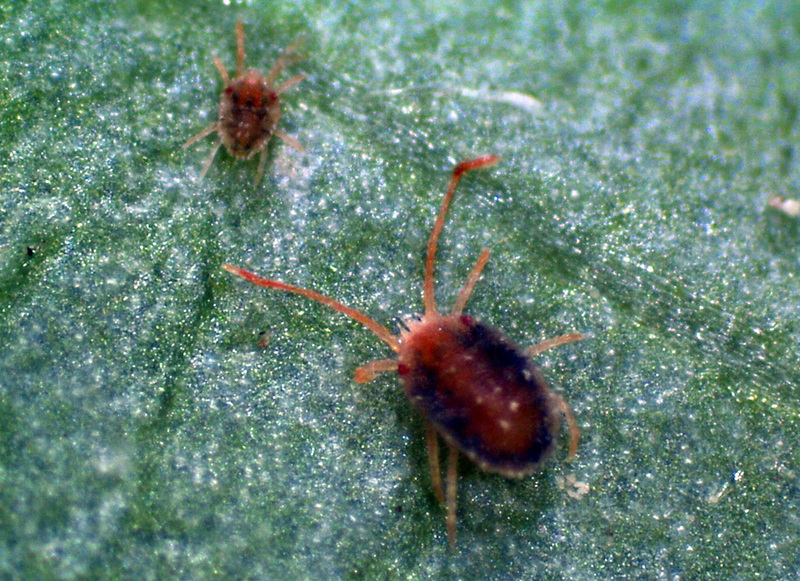 Blister mites, peach silver mites, and rust mites are all eriophyid mites. They overwinter in bud scales and are sensitive to oil, or oil plus Sevin. 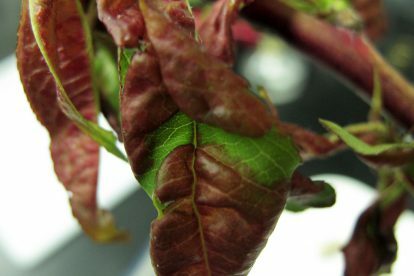 Peach leaf curl is only treated by applying a dormant spray of copper, either in fall or spring. Fungal infections occur during leaf expansion in spring when conditions are cool and moist. The foliage then becomes distorted, discolored, and swollen. 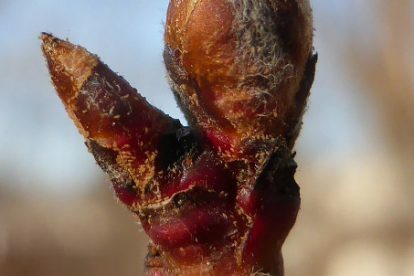 If your trees had peach leaf curl last year and you missed the fall application, you can apply copper this spring, up to the point where the green leaf tips emerge. 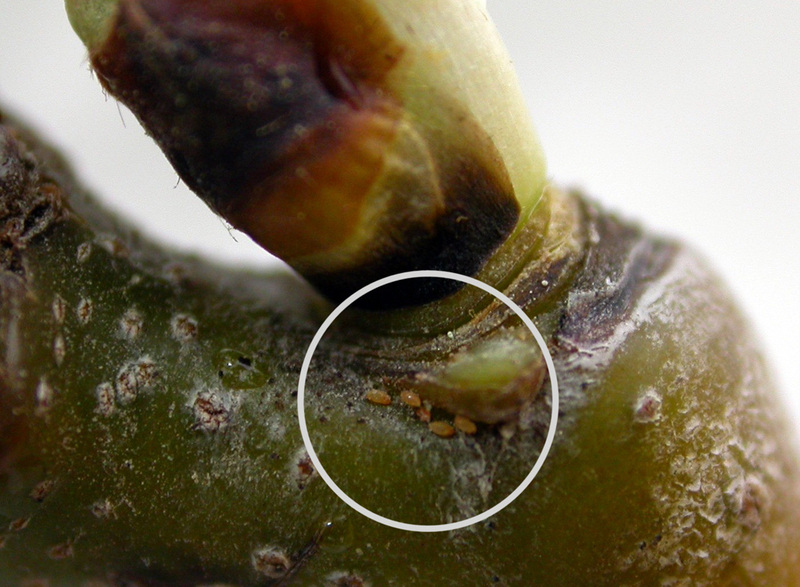 For fire blight, apply copper to apple/pear between swollen bud and green tip stages. It is OK to mix with 2% oil for the insect treatment. 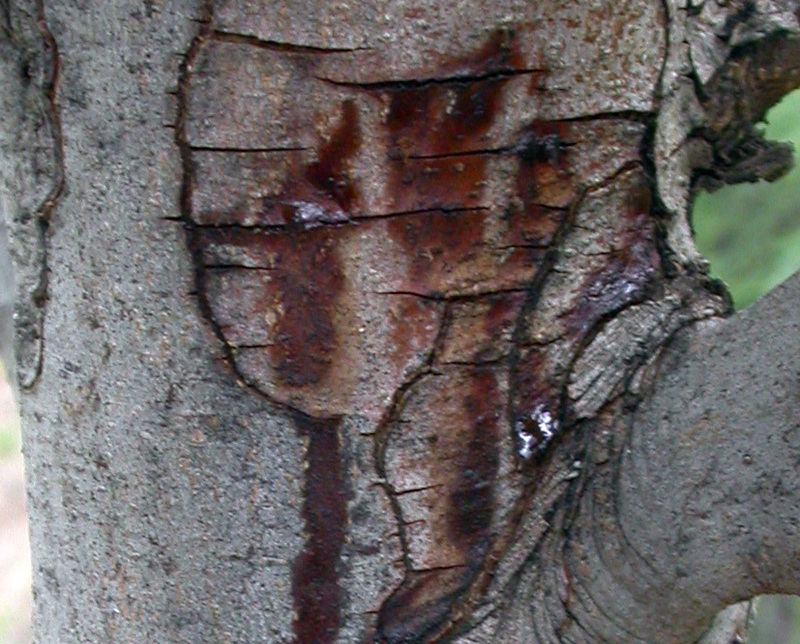 The primary purpose of this treatment is to help reduce the bacteria on the orchard surfaces. Spray all surfaces of the orchard (including trellis posts and other inter-mingled tree crops) as a high volume spray. 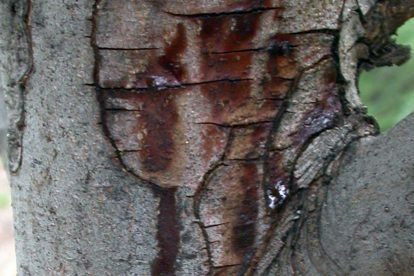 Despite the fact that we call it “dormant oil”, the timing of a horticultural oil spray is not when trees are still dormant. A better term would be a “delayed-dormant” application, because the oil should be applied after bud swell. 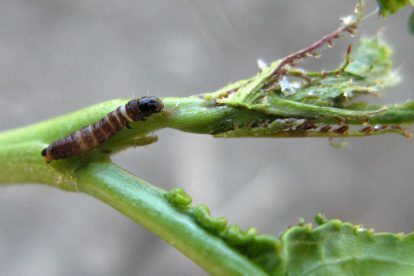 This coincides with the increasing activity of the overwintering insect, such as aphid eggs, scale nymphs, and peach twig borer larvae. In southern Utah, dormant oil should already have been applied. In northern Utah, it is approaching time to apply the spray in some areas. Oil should be applied at a rate of 2%, which is 2 gallons per 100 gallons of water. Mix oil with an insecticide such as Warrior or Asana. 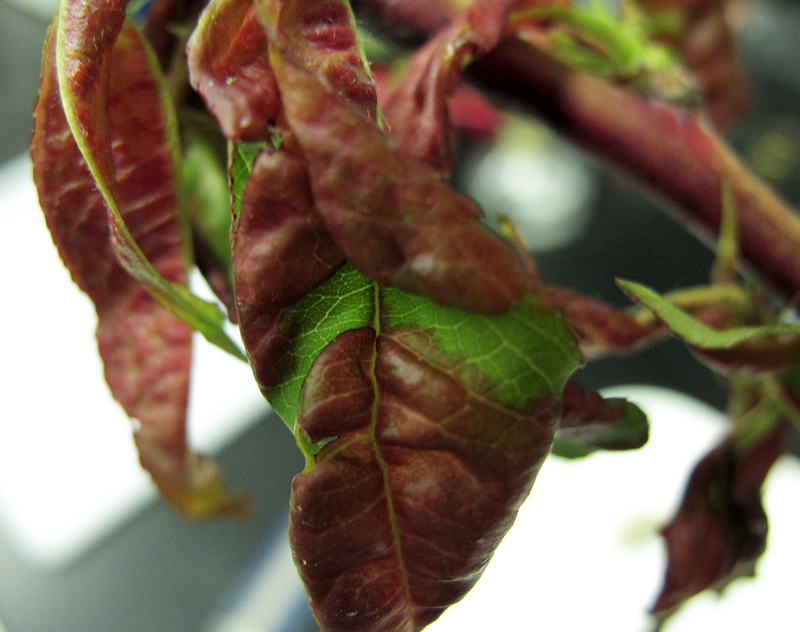 When spraying apple trees, add in copper for fire blight. Make sure you thoroughly cover all cracks and crevices. Oil should be applied at a rate of 2%, which is 5 Tbs in 1 gallon of water. There are a few factors that must coincide to determine when to spray: the bud stages of your fruit trees (pictures of fruit bud stages), and temperature. Only apply oil if temperatures remain above freezing (ideally above 40°F) for 24 hours after application. Ideally, oil should be applied on a clear, non-windy day in the 50 to 70°F temperature range.